This promotion can be upgraded to a Studio Room for IDR825,000 (USD85), a Junior Suite for IDR935,000 (USD97), or a Superior Suite for IDR1,050,000 (USD110). Buffet breakfast is included for up to 3 people. Children under 5 dine free. Guests also enjoy a 20% discount at the hotel spa and a 10% discount at hotel restaurants. 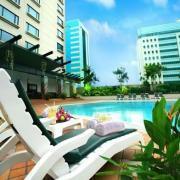 The Menara Peninsula is a 4-star hotel located in the perimeter of Jakarta’s central business district. The hotel offers 387 guestrooms and suites as well as a full range of facilities like a swimming pool, fitness center, spa, restaurants, and business center. 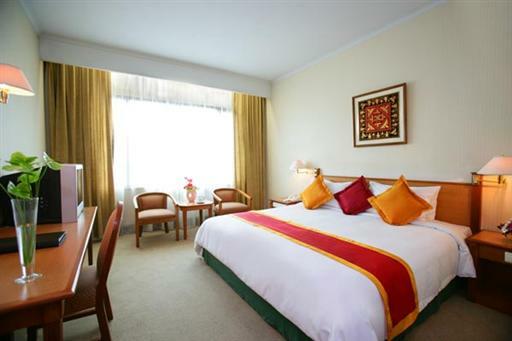 Visit http://www.ytchotels.com.sg/menarapeninsula/ for more information or to make an online booking. The Menara Peninsula Hotel can be contacted by calling (62) 21 535 0888 or emailing reservation@menarapeninsula.com.